In his first new music release since Storyman in 2016, Sam Bush leads the Sam Bush Band in a rocking, electric charge against the current climate of our culture. “Stop The Violence”, written by Bush and long-time collaborator Jeff Black, is reminiscent of so many great rock and roll protest songs of the 1960s, but is focused on the here-and-now; a world of mass shootings, polarised politics, and continued social inequality. Classic Allman Brothers-esque twin-lead guitar, or in this case, electric mandolin and guitar, are interspersed throughout the song, driving home their point with urgency and fervour not commonly found in Bush’s usual world of bluegrass. Today, Rolling Stone debuted “Stop The Violence” along with its music video counterpart, shot and directed by photographer and cinematographer extraordinaire, David McClister. Rolling Stone notes, “Sam Bush delivers a clear call to action in his rousing new song Stop The Violence”. Violence has become a disease, a bad gene in our DNA. It’s not normal, but it’s being normalised and it’s happening right in front of our kids. When Sam brought me the track and his vision for the song, I started thinking about all the folks who grow up in a violent environment, and that’s all they know. I think about the children in particular and how they are cast into it without a choice. I think the hope, because violence itself is taught and handed down through the generations, is that someday, by small acts, we can break the chain – Jeff Black. All-in, Stop The Violence is a decree; a frustrated, weary cry to humankind to stop hurting each other and spread love. When asked about the song. I’m jumping on that peace train. Stop the violence – Sam Bush. This single comes hot on the heels of Revival: The Sam Bush Story, a documentary released to the public via Amazon in November of last year. Written, produced, and directed by Wayne Franklin & Kris Wheeler, Revival not only chronicles the life and career of the newgrass creator, but weaves an emotional, inspiring story about the risks and rewards of being a musical iconoclast. Since its debut at the Nashville Film Festival in 2015, winning the audience award for Best Music Documentary, the crowd-pleasing film has played to packed houses and standing ovations at independent film festivals (Sidewalk Film Festival, St. Louis International, Big Sky, Noise Pop, IF Film, Durango, Port Townsend, Woods Hole, and Hurricane) across the country and has screened at IBMA, Telluride, Film Falmouth, and Hear BG, picking up three more best documentary awards along the way. There was only one prize-winning teenager carrying stones big enough to say thanks, but no thanks to Roy Acuff. Only one son of Kentucky finding a light of inspiration from Bill Monroe and his Blue Grass Boys and catching a fire from Bob Marley and The Wailers. Only one progressive hippie allying with like-minded conspirators, rolling out the newgrass revolution, and then leaving the genre’s torch-bearing band behind as it reached its commercial peak. There is only one consensus pick of peers and predecessors, of the traditionalists, the rebels, and the next gen devotees. Music’s ultimate inside outsider. Or is it outside insider? There is only one Sam Bush. He’s released seven albums, a live DVD, and a documentary over the past two decades and in 2009, the Americana Music Association awarded Bush the Lifetime Achievement Award for Instrumentalist. Punch Brothers, Steep Canyon Rangers, and Greensky Bluegrass are just a few present-day bluegrass vanguards among so many musicians he’s influenced. His performances are annual highlights of the festival circuit, with Bush’s joyous perennial appearances at the town’s famed bluegrass fest earning him the title, King of Telluride. Revival: The Sam Bush Story is to be made available digitally from 1st Nov. via Amazon. Revival: The Sam Bush Story is written, produced, and directed by Wayne Franklin & Kris Wheeler with appearances by Emmylou Harris, John Oates, Alison Krauss, Bela Fleck, Chris Thile, David Grisman, Ricky Skaggs, Jerry Douglas, Jeff Hanna, Del McCoury, John Cowan, Jeff Austin, Scott Avett, The Avett Brothers, Woody Platt, Mike Guggino, Steep Canyon Rangers, Paul Hoffman, Greensky Bluegrass, Pat Flynn, and Sierra Hull. Finally for fans everywhere, the documentary telling Bush’s full story, Revival: The Sam Bush Story, will be released digitally on Nov. 1 via Amazon to rent or buy. Revival not only chronicles the life and career of the newgrass creator, but weaves an emotional, inspiring story about the risks and rewards of being a musical iconoclast. Since its debut at the Nashville Film Festival in 2015, winning the audience award for Best Music Documentary, the crowd-pleasing film has played to packed houses and standing ovations at independent film festivals (Sidewalk Film Festival, St. Louis International, Big Sky, Noise Pop, IF Film, Durango, Port Townsend, Woods Hole, and Hurricane) across the country and has screened at IBMA, Telluride, Film Falmouth, and Hear BG, picking up three more best documentary awards along the way. The film opens with an especially poignant interview with Chris Thile commenting on the pressure placed on Bush by bluegrass traditionalists at the beginning of his career who looked at him to be the next Bill Monroe, to which Thile, speaking freely, says Bush had the courage to say “No, I’m going to be the first Sam Bush.” In the film, noted musicians – from Alison Krauss to John Oates, from the Avett Brothers to Thile – say many of today’s biggest acts in bluegrass, newgrass, Americana and the jam-band scene owe a debt of gratitude to Bush. Performance footage, intimate interviews with the industry greats, and candid conversations from Bush, and his wife/business partner Lynn, make for an enjoyable inside look at one of the nation’s greatest musical treasures, the hurdles he faced, the boundaries he effortlessly broke and his triumphs across genres. The film remembers Bush on a Bowling Green, Kentucky cattle farm in the post-war 1950’s – an only son, and with four sisters. His love of music came immediately by his father Charlie who envisioned his son someday a staff fiddler at the Grand Ole Opry. The narrative unfolds with teen fiddler Bush, a three-time national champion in the junior division of the National Oldtime Fiddler’s Contest. In the spring of 1970 attended the Fiddlers Convention. There he heard the New Deal String Band, taking notice of their rock-inspired brand of progressive bluegrass. A game changer for Bush. In the film, Bush recalls when country titan Roy Acuff offered him a spot in his band, which he politely turned down. It was not the music he wanted to play. He had discovered electrified alternatives to tradition in the Osborne Brothers and manifest destiny in The Dillards. Bush played guitar in the group, then began playing mandolin after recruiting guitarist Tony Rice to the fold. Following a fallout with Lonnie Peerce in 1971, Bush and his Alliance mates, Ebo Walker, Courtney Johnson, and Curtis Burch, formed the New Grass Revival, issuing the band’s debut album New Grass Revival. Walker left soon after, replaced temporarily by Butch Robins, with the quartet solidifying around the arrival of bassist John Cowan. Shunned by some traditionalists, New Grass Revival played bluegrass fests slotted in late-night sets for the “long-hairs and hippies.” They garnered the attention of Leon Russell, one of the era’s most popular artists, and in 1973 Russell hired New Grass as his supporting act on a massive tour that put the band nightly in front of tens of thousands. The group released five albums in their first seven years, and in 1979 became Russell’s backing band. By 1981, Johnson and Burch left the group, replaced by banjoist Bela Fleck and guitarist Pat Flynn. A three-record contract with Capitol Records and a conscious turn to the country market took the Revival to new commercial heights. In this period, Bush survived a life-threatening bout with cancer, and celebrated chart-climbing singles, earned Grammy nominations, and, at their zenith, called it quits. Bush worked the next five years with Emmylou Harris’ Nash Ramblers, then a stint with Lyle Lovett. He took home three-straight IBMA Mandolin Player of the Year awards, 1990-92, (and a fourth in 2007). In 1995 he reunited with Fleck and toured with the Flecktones, reigniting his penchant for improvisation. Then, finally, after a quarter-century of making music with New Grass Revival and collaborating with other bands, Sam Bush went solo. Which brings us to today and the reason for Revival and its digital release. With this band I have now I am free to try anything. Looking back at the last 50 years of playing newgrass, with the elements of jazz improvisation and rock-&-roll, jamming, playing with New Grass Revival, Leon, and Emmylou; it’s a culmination of all that – Sam Bush. The film is a culmination of “all of that”. Even though Sam is revered by so many music greats he remains something of an unknown legend for the uninitiated. So, for those who aren’t aware of Sam’s story, this will be a discovery film. And, honestly, that, as much as anything, is what drew me to this project – Co-director Kris Wheeler..
Nine Kentuckians whose contributions – as artists or advocates – have raised the level of quality and awareness of the arts in Kentucky and the nation are being honoured by Gov. Steve Beshear for their lifelong commitment to and achievement in the arts as recipients of the 2015 Governor’s Awards in the Arts. It’s been my special privilege these past eight years to bestow this honor on many deserving artists and friends of the arts in Kentucky, and these honourees continue that fine tradition. It is especially poignant to do so in this, the 50th anniversary year of the Kentucky Arts Council. Looking back through the history of the Governor’s Awards winners, you can see many outstanding examples of the high level of art in Kentucky.- Gov. Steve Beshear. The Governor’s Awards in the Arts are presented in nine categories one of which the National Award, will be awarded to Sam Bush for his contribution to raising the awareness and quality of the arts. 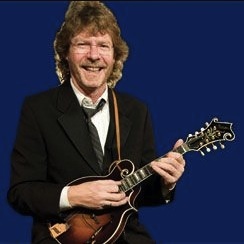 Sam Bush is a Bowling Green native and multiple Grammy Award winner. He has energised audiences and inspired generations of acoustic musicians by pushing the boundaries of traditional bluegrass to create an exciting blend of bluegrass, jazz, rock ‘n’ roll and soul. As a toddler, he was exposed to his father’s own bluegrass collection, and by age 11 he took up the instrument that he has been identified with for his more than five decade career – the mandolin. Bush’s musicianship at what has since been called “Newgrass” has led to collaborations with other big name artists like Leon Russell, Lyle Lovett, Emmylou Harris, Alison Krauss, Tony Rice, Dolly Parton and Doc Watson. He demonstrates as much mastery of live venues as he does recording studios, and is a frequent artist at well-known venues like the Telluride Bluegrass Festival in Telluride, Colorado, Merlefest in Wilkesboro, North Carolina, and the Lonesome Pine Special Concert Series in Louisville. A date has not yet been set for the 2015 Governor’s Awards in the Arts, but it will be posted on their website when it has been confirmed. Nominations for the Governor’s Awards in the Arts are accepted annually from the public. The deadline to make a nomination for the 2016 awards is Nov. 1, 2015. The Kentucky Arts Council coordinates the nomination and selection process for recommendation to the governor. The Kentucky Arts Council, the state arts agency, fosters environments for Kentuckians to value, participate in and benefit from the arts. Kentucky Arts Council funding is provided by the Kentucky General Assembly and the National Endowment for the Arts. The arts council, along with the NEA, is celebrating 50 years of service in 2015, which the arts council is recognising as the Year of the Arts in Kentucky. Putumayo announces the May 22nd release of Bluegrass, an engaging collection featuring many of the genre’s most renowned artists along with exciting new discoveries. The album is Putumayo’s first venture into the world of bluegrass and includes Alison Krauss, Sam Bush, Peter Rowan, David Grisman and other stars along with some of today’s up-and-coming young groups like Railroad Earth, Town Mountain and Uncle Earl. Bluegrass offers insight into the variations within the genre, from the mesmerizing vocals and skillful instrumentation of Alison Krauss and Union Station‘s Every Time You Say Goodbye, to Railroad Earth’s contemporary newgrass sound on Been Down This Road. Then there’s the lively rendition of Jackaroo,”by legends David Grisman and Jerry Garcia, along with the soft, contemporary sounds of Andrea Zonn with Alison Brown. Frank Solivan’s Across the Great Divide and Peter Rowan’s Man of Constant Sorrow, transport listeners with their earthy, newgrass style. James Alan Shelton brings his beautiful melody-oriented guitar playing to the traditional song Shady Grove, and Crooked Still adds a modern bluegrass sound to New Railroad. One of bluegrass music’s longest performing groups, The Seldom Scene, provides their distinctive vocals and picking to the Dylan classic Boots of Spanish Leather followed by the versatile all-girl string band Uncle Earle on The Last Goodbye. Young North Carolina natives Town Mountain contribute their original, traditional bluegrass stylings with Diggin’ On The Mountainside, while the inimitable Sam Bush, brings his beloved mandolin playing to Diamond Joe. The album closes with a rendition of the gospel favorite I’ll Fly Away, performed by a variety of talented artists. For more information about Bluegrass, to interview participating artists or Putumayo founder and album compiler, Dan Storper, please contact GoodStuff PR Co. at shari@goodstuffpr.com or by calling USA 615.525.5303. For more information about Putumayo, visit www.putumayo.com. Brothers Tim and Danny Carter are scions of the Carter Family legacy. Born and raised in High Point, North Carolina, their take on bluegrass music is equal parts raucous and reverential. In the many years that they have performed together since boyhood they have developed the tight brother harmonies that distinguish the best brother duos as well as the instrumental prowess that bluegrass demands of its practitioners. Their music is rooted in tradition but pushes the envelope at the same time, making them popular with fans of all kinds of American roots-based music. On Road to Roosky, their first release with the Nashville-based roots music company Compass Records, the brothers deliver a multi-faced set of tunes that pay homage to their tradition as well as showcasing the musically adventurous side of their music. The album opens with the lively Woman at the Well, featuring Sam Bush on slide mandolin, and segways seamlessly into the title track, Road to Roosky, named for a quaint village in the Midlands of Ireland where the Carter Brothers often spend time during their frequent tours of the country. Other standout tracks include She’s a Hurricane, featuring Ferrell Stowe on slide guitar, What Does The Deep Sea Say featuring Tim O’Brien, and Jerusalem Moan, recorded with Vassar Clements a few months before untimely death in 2005; possibly be the only recording that features Vassar singing and scatting as well as playing fiddle. Award-winning artist, bandleader, songwriter and mandolin monster Sam Bush will host this year’s 22nd annual International Bluegrass Music Awards. The award night is scheduled for Thursday, 29th September, from 7:30pm and will be staged at Nashville’s historic RymanTheatre . It is my pleasure to return as the host for the 2011 IBMA Awards. As a bluegrass fan and fellow Kentuckian, it’s especially important to me on the 100th year anniversary of Bill Monroe’s birth. I look forward to spending the evening with the nominees and the winners, as this is their special night – Sam Bush. The IBMA Awards will be broadcast live on Sirius XM Satellite Radio (Bluegrass Junction, Channel 14) and on WSM-AM 650 (live at www.wsmonline.com), and will also be syndicated to more than 300 U.S. markets and 14 International networks through the sponsorship of Martha White, GHS Strings, Sugar Hill Records, Deering Banjos, International Bluegrass Music Museum and Compass Records. Program directors and station managers may sign up to be affiliates online at www.ibma.org. Legendary mandolinist and band leader Sam Bush will deliver the keynote address at this year’s International Bluegrass Music Association Business Conference. The address is to be delivered on Monday, 27th September 2010. 13th September marks the 100th birthday of Bill Monroe, who is widely recognized as the father of bluegrass music and thus Bush will talk about that milestone and its significance in the world of bluegrass music. Among other issues, Bush will reflect on how we might best celebrate a 100 years Monroe’s influence in the world of music. The theme for World of Bluegrass 2010 is Face Time – It Matters, because these seven days, more than any other week or place on the planet – are about the relationships folks who care about and work in the business of bluegrass music build and keep for a lifetime. IBMA events are where artists, DJs, journalists, talent buyers and fans interact and share new music. It’s where merchandisers and luthiers unveil new products and instruments, as well as meet artists who will endorse their products. It’s also where everyone in the industry meets to sharpen and share their professional skills – IBMA. Sam Bush has been a regular on Mountain Stage. He first appeared with Joshua Bell, Edgar Mayer and Emmylou Harris, as well as with New Grass Revival. In this, his latest appearance he performs from his latest CD Circles Around Me. 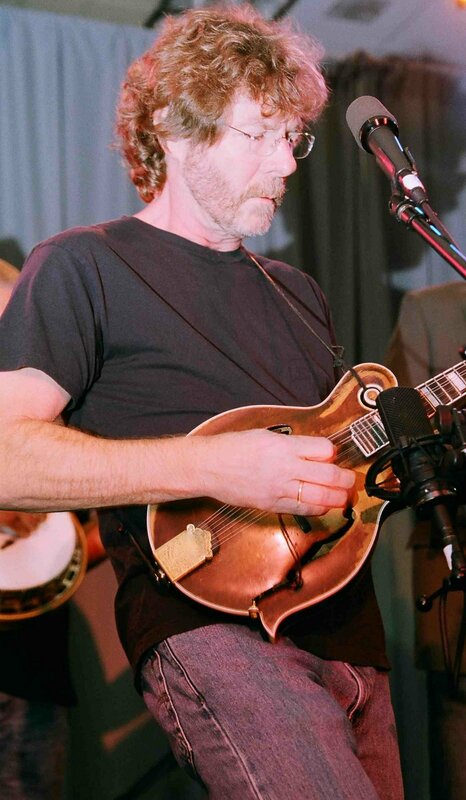 Sam Bush is interviewed on Mandolin Cafe with questions posed by a series of readers. Questions include comparisons between his fiddle and mandolinÂ playing, favourite music and musicians, possibility of reviving the NGR etc. You can also download a free MP3 of Midnight on The Stormy Deep from the Sam Bush website. Just go to the link at Mandolin Cafe and follow the directions. Reports from the Bowling Green Daily this week note that Legislators in Kentucky have unanimously named Bowling Green as the birthplace of Newgrass Music. The legislation also formally recognizes Sam Bush as the official Father of Newgrass. Newgrass is the untamed bluegrass offspring featuring rock ‘n roll grooves and extended virtuosic jams. Sam Bush played an integral role in changing the face of bluegrass music as a founding member of New Grass Revival in 1971. Bush was the only member of the band to be in all of its subsequent incarnations. The group disbanded in 1989 and since then Bush has forged new ground as a successful solo artist. The official distinction could be helpful in promoting the International Newgrass Festival. Bowling Green will host the second annual festival Aug. 20-22. About 1,500 people attended the event last year, and Bush was one of the headliners – Andrew Thomason, Bowling Green Daily. 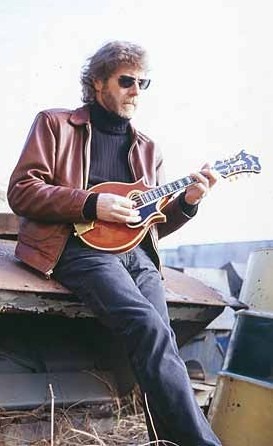 In July last year Americana Music Association awarded Sam Bush the Lifetime Achievement for Instrumentalist award at the 8th Annual Americana Honors & Awards ceremony held at Nashville’s Ryman Auditorium.